Aliens have landed on Earth. Where do they come from, and what do they want? Finding the answer depends on the combined skills of linguist Louise Banks (Amy Adams) and physicist Ian Donnelly (Jeremy Renner). In a story that spans the personal to the planetary, how much does Arrival get right? Xenolinguist Sheri Wells-Jensen and Doug Vakoch of METI (Messaging Extraterrestrial Intelligence) International discuss. Doug Vakoch is president of METI International, in San Francisco, California. VOICEOVER: The most spectacular science talker ever filmed. Too real to be science fiction. Now science fact. 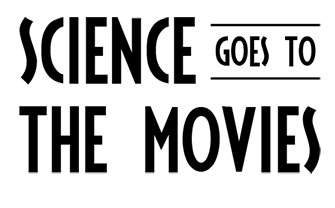 IRA FLATOW: Lights, camera, action on our latest edition of Science Goes to the Movies. This week, the story of inter-species communication between us and aliens. MOVIE VOICE 1: Dr. Banks? Hey, what are you doing? Are you insane? MOVIE VOICE 2: They need to see me. MOVIE VOICE 1: She’s taking off her hazmat suit. Dr. Banks. Is she OK? MOVIE VOICE 1: She’s walking towards the screen. MOVIE VOICE 2: Now that’s a proper introduction. IRA FLATOW: I hope the suspense is killing you. That’s a scene from the new film, Arrival. Here Amy Adam’s character, a linguist, takes off her hazmat suit in an alien spacecraft so she can better communicate with the aliens that have arrived on earth. The scene ends with an inter species high five. We’ve got two scientists, and newly minted film critics here to pick apart the film. What would an actual linguist do if one had to talk to an alien? How do we even begin to craft understandings? My guests have some experience in his field. Doug Vakoch is president of METI International, that’s Messaging Extraterrestrial Intelligence, based out in San Francisco, California. That’s our spoiler alert signal. We are not holding back in this conversation so if you haven’t seen Arrival yet, and you don’t want to hear the spoilers because we’re going to talk a little bit about them plug your ears. Thank you both for taking time to join us today. Thank you. DOUG VAKOCH: Glad to join you. SHERI WELLS-JENSEN: Delighted to be here. IRA FLATOW: Sheri, I’ll bite, what is xenolinguist? SHERI WELLS-JENSEN: It’s not a thing that most people get to talk about. So if you just take linguist, and then you deploy your favorite “xeno” prefix, you get the study of languages that are out there somewhere that we haven’t been yet, and in a way that we haven’t even begun to think about. We don’t have a lot of data in xenolinguistics quite yet, but where we’re building the background for it. IRA FLATOW: Hmm. And Doug Vakoch, METI is an organization dedicated to messaging extraterrestrial Intelligence Is that correct? DOUG VAKOCH: That’s right. For over 50 years, astronomers have been searching for signals from extraterrestrials using radio telescopes, optical telescopes. METI is the flip side of that. So in addition to searching, we’re also dedicated to sending intentional signals trying to prompt a reply from ET. IRA FLATOW: So how much, Sheri, did Louise’s approach to communicating mirror how it should work in real life? SHERI WELLS-JENSEN: Well she had the good fortune to have the aliens right almost literally at her fingertips with the high fives there. And that’s not something we necessarily expect in the next 15 to 20 years as far as we know. Physics tells us that probably they’re not going to zap faster than light right into our backyards. But if they were there, if we could do that, then the things that the film got wrong are small interstellar potatoes. I think she did a really excellent job. IRA FLATOW: And that really is was one of the points of the movie, is how do we communicate with something that– And this film really is not speaking to us, it’s talking in symbolic language isn’t it? SHERI WELLS-JENSEN: It’s giving us the opportunity to think intelligently and artistically, but maybe with the emphasis on intelligently, about how we would really get that job done. What were some of the barriers be, and could we really succeed? And it’s asking all the right questions. IRA FLATOW: Well let’s get into some of those questions, Sherri and Doug. Let’s say that you were the one tapped for Dr. Louise Banks, Amy Adams’ character, or Ian Donnelley, Jeremy Renner’s character, who is he is a mathematician in this thing, what would your first move be? SHERI WELLS-JENSEN: You mean of course after I’ve finished the jumping up and down and screaming part, right? That would be first. If we did have the opportunity to be face to face, we would face what linguists and philosophers call the gavagai problem, which is, I hold up a rock, I say rock. Do you, as the alien species understand that to be the thing in my hand? Do you understand that to mean I’m holding something up? Do you understand that to mean, look out I’ve got a rock, I might throw it? Do you understand that to mean potential energy? What even is that? So I would be ready to experiment a lot, to make more mistakes especially at first than I get things right. And do just what they did in the movie which is do a thing, do another other thing, do another thing. OK, then go down, and sit around, and have coffee for a day and a half, and think about all the things you did and sort out how you misunderstood. And then go back, and try again, and make more mistakes and hopefully different mistakes. And then come back and try again, and try again. IRA FLATOW: Doug, want to weigh in on this? DOUG VAKOCH: Yeah, I would want to use the same approach. I think there was this nice dichotomy set up in the movie between the theoretical physicist, who says, hey we’ve got to start with some binary digits, and then moved to the Fibonacci series. And Amy Adams is saying language and communication is messy. And the person who brought them together, Forest Whitaker’s character, the colonel, says we need both of these perspectives. And I think that’s the reality, in fact. Communication is a very fluid, very complicated process. And we see the kind of misinterpretations and our desire to leap to a conclusion earlier than we should. So the big cliffhanger is, what does it mean when the aliens say, offer weapon? Are they offering us a weapon, or are they going to offer the weapon to one of the 12 sites where they have spacecraft hovering over? Or is Amy Adams says, similar to the gavagai problem that Sheri is talking about, is it really a weapon? Or is it a tool? Or is it a gift? And what we discover ultimately is they’re talking about language. And language, of course, is a tool and sometimes we use it as a vicious weapon, and sometimes it becomes a gift for us. So I think the complexity of communication– that’s what I would really expect the extraterrestrial to realize. That we are going to make those mistakes, it’s inevitable. And so we have to hold in abeyance all of our interpretations. IRA FLATOW: And Sheri, there’s really that one fantastic scene, where Amy Adams’ character breaks down, just how hard it is to ask an alien, what is your purpose on Earth? SHERI WELLS-JENSEN: It’s the first thing you want to know, but it’s the last thing you’re going to find out, right? So they do a really good job of breaking that apart, and saying well, first off what do you mean by you? And then how do I ask a question, and then go ahead and even define for me in easy words what purpose means. It’s incredibly complicated. IRA FLATOW: What do we take for granted when we go in as humans? Take for granted about talking to human beings that may not be true with aliens? SHERI WELLS-JENSEN: I think the mistake we make is inevitable. Is that we assume that we’re starting from ourselves. We assume that we’re starting from language as we know it and communication as we know it. And we can do no other because even as we decide, I’m going to assume nothing I’m going to start from zero, we’re starting from what we understand zero to be. Not what they might understand zero to be. And so we have to be able to unthink ourselves at every step, and treat even our successes as potential failures. Which sounds depressing, but it’s actually kind of great. DOUG VAKOCH: I think the flip side too, is actually being able to recognize the successes when they happen. So there’s one scene where they’re checking in with everyone at the 12 sites around the world. Have you made any progress? And the Australian liaison checks in and says, No we play them some sounds and they repeat them back and no progress here. But that’s monumental. To actually have someone recognize you’re trying to say something, and they repeat it back. You’re being heard. And so I think the key is to get a lot of different perspectives coming into this so that we can recognize when we’re making some progress. The challenge that we face is not getting caught up sometimes in our successes even. So when folks were trying to decode Mayan hieroglyphs, they made some great success in the early days by recognizing some of the elements of a calendar, or some of the mathematical components. And then they thought the whole thing is mathematical, but no. Sometimes it’s talking about grain shipments and commerce. And so sometimes even the successes get in our way, so it’s always being able to step back and say, what else might this mean? IRA FLATOW: Well talking about math, we’ve always said that that’s like the universal language. Universal means of communication. But was it weird to you then, that the aliens didn’t understand algebra? DOUG VAKOCH: It’s a little weird. So there’s this throwaway comment that they do recognize prime numbers. So they know 2, 3, 5, 7 , 11. These are numbers, you can’t divide them by two or three, any other number, just themselves and one. So they recognize some math, but they don’t recognize algebra? How in the world do you build a spacecraft that can travel between the stars, and you don’t know the quadratic equation, for example? So ax squared plus bx plus c equals 0. So that’s considered a fundamental concept of algebra. But if you stop and think a second, there’s a lot of stuff packed into that simple concept. You have to recognize that the a, b, and c are constants, it’s a number that doesn’t change. X is a variable, x squared is the same number multiplied by itself. You’ve got to understand addition of the different parts. You have to understand that the two sides of the equation are equal. So even one of the most fundamental concepts of what we consider relatively simple math, has so much packed into it. And maybe in fact the aliens are very conversant with algebra but instead of talking about it in terms of distinct numbers, they graph it and look at it visually, and we do that as well. So I think it makes sense to me that math is universal. If you don’t know something like 2 plus 2 equals 4, you’re not going to be a very good engineer on this world, or any other world. But the way we represent that, the way we talk about it, could be radically different. And to me that’s the beauty of this story because it says, we should be ready to rethink something as fundamental as our sense of time if we encounter radically other beings. IRA FLATOW: I gave way too much here. We’re going to take a break, come back, and talk lots more with Sheri Wells-Jensen, Doug Vakoch. Our number, 844-724-8255. We’ll take a break. We’ll be right back after this break. Stay with Us. This is Science Friday, I’m Ira Flatow. We’re midway through a discussion about the new sci-fi film, Arrival. The story of aliens arriving on earth, how we might go about talking to them it’s really, really interesting movie. A reminder, this conversation contains spoilers, so if you want to see the movie and don’t want to spoil it for you just pay attention. I’m talking with Doug Vakoch, president of METI International, that stands for Messaging Extraterrestrial Intelligence. Sherry Wells-Jensen, linguist and xenolinguist at Bowling Green State University. Our number 844-724-8255. What about this hypothesis that language rewires our brain. Do you know about that, Sheri? SHERI WELLS-JENSEN: Yeah it’s one of the best things in every intro to linguistics class, right? IRA FLATOW: Is there a technical word for that? SHERI WELLS-JENSEN: You could call it the Sapir-Worf hypothesis, or a linguistic relativity. Those are both very Google-able. And the idea is that the way we speak, and the words we have for things, and the way our grammar allows those things and actions to interact influences, or controls, depending on if you want the weak version or the strong version, how you think about them. So it’s tricky, right? Because there is some influence. There’s probably some influence. We have some data to indicate that the words you have for color terms might influence how you perceive color, but you don’t want to go too far. For example, in Japanese there’s one word that means, foot and leg, the whole shebang, right? Just one word for it. But because they have one word and they don’t have two words, one for leg and one for foot, you’re not going to walk around and believe that Japanese people don’t know they have feet, right? So we don’t have languages on earth that can dramatically rewire your brain. So whatever happened to the linguist character in the movie wasn’t language as we understand it on Earth, or language as we have it on Earth, there was sort of language plus LSD or something like that, but it wasn’t same. IRA FLATOW: Yeah. One of the points that one of the breakthroughs that she made in a movie was when she was actually able to go up to the glass and touch her hand on it and meet the limb of the other alien. And she said it was so important not to be able to just talk to it, but to make eye contact with it for language. How important is that? SHERI WELLS-JENSEN: That would really depend on what the species were. You could be an alien species with technology flying around from planet to planet without visual perception. We often assume that they will because it’s awfully useful to people on earth, all the many species on Earth, to be able to see. But not necessarily. What it’s useful and necessary is that you have intellect and sensory input. But what those sensory inputs are like, we can leave those unspecified because we know we need them, but we don’t know which ones are absolutely necessary, or what kinds those are going to be. DOUG VAKOCH: Absolutely. I am so jealous of Amy Adams. She gets to be there right face to face with them. She tries something, it doesn’t work, she gets to try something else, no. In the real world scenario, the greatest hope is that the nearest star is populated. And that would take eight years for a round trip exchange. Much more likely, the nearest intelligent civilization could be hundreds or thousands of light years away, and so it’s hundreds or thousands of years for round trip exchange. What that means is you have to try to have a foolproof self decoding message. Which is impossible to do with perfection. So the goal, really, is to try to say at least something that makes sense. And so you know it’s much more like instead of understanding another language as we learn it on Earth, you’re a child, you speak a language, you learn by contact. It’s more like decoding Egyptian hieroglyphs. And the big challenge there was some of the assumptions we made early on stood in the way. So there was this idea since the ancient Greeks that each of those hieroglyphs stood for an abstract concept. And it wasn’t until the early 19th century, after Napoleon’s army dug up the Rosetta Stone in Rosetta Egypt, and there was this parallel text. Two different versions of Egyptian, one of Greek. And you can make correlations between the two that this brilliant linguist in France from Napoleon said, hey, wait a second sometimes a glyph doesn’t mean this abstract idea, sometimes it’s just a sound. And so I think the key is always to be able to step back. And then our challenge is to try to find something like a cosmic Rosetta Stone, and will it be the periodic table of elements? If you’re a chemist on another world, will they recognize it? I hope so. IRA FLATOW: To have a question coming in from Rob in Whittier, California, who is sort of basically asking that question. Rob? ROB (ON PHONE): Yes thank you for taking my call. I love the show. Yeah, I’ve always been thinking of that for years. If these beings are that intelligent, they are going to have a grasp of chemistry, which means they have to know what the proton count of each atom is. And if you just keep broadcasting that over, and over, and over, and over, they’re intelligent. They’re going to say, hey this is the periodic table, this is the chemistry we know of. I don’t know if they do that in SETI, I don’t know, I just always thought that. IRA FLATOW: Yeah good point. DOUG VAKOCH: I think it’s a good intuition, it maps onto some of the best proposals we’ve had. So the mathematician Carl Devito at University of Arizona developed a language to communicate with extraterrestrials. It’s based on set theory. So it can talk about numbers in a two dimensional array, but that’s exactly what the periodic table of elements is. That there is not only the account from one to 92 for the naturally occurring elements, but you show that as you repeat them and line them up in a certain pattern, there are chemical regularities that you see. And so the hope is that the extraterrestrials will have something like the periodic table. They may line it up a bit differently than we do, but if they know about the composition of stars in their own world maybe they’ll recognize our representation. IRA FLATOW: Well it’s the last question for you, Sheri. How close to reality– if you were that person trying to– would it be for you to do the same things she did? Are there any big bloopers in the movie I guess is what I’m asking. SHERI WELLS-JENSEN: No, I don’t think there are any big bloopers, but we missed a lot of the error, I would say. So she’s writing on her little whiteboard, and they automatically understood what she was doing. If you’re writing, what are they paying attention to, the angle of the pen? The track of the pen? What you do with the pen afterward? Or would they assume that they should look at the residue that the pen leaves behind, which is something that you have to figure out. So I think what we miss in the movie was all of the years of, that was wrong. IRA FLATOW: Mm-hmm. They didn’t have a whole lot of time to do it though, right? There was an army standing by there all around the world. So they were sort of under a little bit of pressure to get results. It’s part of the drama of the movie. The film is Arrival. It’s a really great fun think piece. It reminded me of Close Encounters of the Third Kind when they use music to communicate with the aliens there, but here they are using symbolic language trying to figure it out. Doug Vakoch, I’m sorry I keep getting your name wrong. Doug Vakoch, president of METI International, stands for Messaging Extraterrestrial Intelligence. Sheri Wells-Jensen, linguist and xeno linguist at Bowling Green State University. Thank you both for taking time to be with us and translating the movie a little bit for us, it’s great. Have a great weekend. Our scientist-film critics weigh in on "Her."